In today’s globalised world, labour migration is a rising policy priority for many countries. Economic hardships and a host of other factors are resulting in growing and diverse migratory movements which have led to problems related to abusive and fraudulent recruitment practices, violations of rights at work, lack of social protection and other problems for Zimbabwean migrant workers. To address some of these problems, the Zimbabwe Cabinet recently approved the National Labour Migration Policy. In this report, Sifelani Tsiko (ST), our senior writer, speaks to the Minister of Public Service, Labour and Social Welfare Dr Sekai Nzenza (SN) about the country’s commitment to make migration safe, orderly and regular. ST: What is the main reason why the Government has taken bold steps to develop the National Labour Migration Policy? SN: Zimbabwe has developed a National Labour Migration Policy given the fact that labour migration issues have grown in global importance, and in view of the potential that migration has in contributing towards the development of sending and receiving countries. It is against this background that at the global level Sustainable Development Goal (SDG) target 10.7 calls on member states to facilitate orderly, safe, regular and responsible migration and mobility of people, including the implementation of planned and well-managed migration policies. At the continental level, Heads of State adopted the Migration Policy Framework for Africa (MPFA) and Plan of Action for (2018-2030). The overarching objective of the MPFA is to promote better migration governance among member states. In addition, the Southern African Development Community (SADC) member states adopted the SADC Labour Migration Policy Framework, which implores all SADC member states to develop rights-based national labour migration policies by 2019. Furthermore, labour migration is an important component in the SADC Employment and Labour Protocol, which Zimbabwe has already ratified. The above obligations that Zimbabwe has with respect to policy development and the need to ensure the protection of Zimbabwe migrant workers have resulted in the development of a national policy on migration. In addition, the plight of Zimbabwe migrant workers who have been subjected to abuse, victimisation and xenophobic attacks, among other ills in destination countries has also led to the adoption of the policy. ST: What is the major aim of the National Labour Migration Policy? SN: The National Labour Migration Policy seeks to enhance labour migration governance in order to protect and empower Zimbabwe migrants in line with international norms on safe migration and decent work for all. It also seeks to harness and maximise labour migration benefits for national development through remittances and investment promotion. ST: Were all the major stakeholders consulted in the development of the National Labour Migration Policy? Could you explain briefly what the process entailed. SN: Yes. The development of the National Migration Policy was a consultative process that involved the participation of Government line ministries, workers’ and employers’ organisations and the United Nations agencies that include the International Labour Organisation (ILO) and the International Organisation for Migration (IOM). ST: Developing a policy is one thing and implementing is quite another. How do you intend to implement the National Labour Migration Policy? SN: The policy document includes an implementation matrix for the period during which the policy objectives are expected to be progressively realised. The matrix clearly outlines the strategic area, policy options, action plan, expected outcomes, time frame and the key stakeholders particular to each policy deliverable. One of the areas of greatest emphasis in the matrix is the cross-partnerships that are to be pursued by the Ministry of Public Service, Labour and Social Welfare with all Ministries and departments that have a role to play in migration management in Zimbabwe. Other stakeholders will include development partners and workers’ and employers’ organisations. The time frames in the implementation matrix are mostly indicative and may change in the course of implementation. It is important to note that some of the actions such as those relating to cross-border cooperation with South African counterparts are already underway following the signing of the Memorandum of Understanding (MoU) on Employment and Labour on April 6 2017, under the auspices of the Zimbabwe-South Africa Bi-National Commission. ST: The Government has no adequate resources to fund such policies. How do you intend to mobilise resources for the successful implementation of the National Labour Migration Policy? SN: The National Labour Migration Policy falls under the ambit of the Zimbabwe Decent Work Country Programme which receives funding from Treasury every year. In the current budget, a provision was made for the implementation of the policy. The strategic partnership that the Government has with cooperating partners such as ILO and IOM will also assist in the mobilisation of resources for the implementation of the policy. ST: The current political debate on migration is often based on misconceptions about the relationship between migration, jobs and development. In what way will this new policy benefit migrant workers and their families, Zimbabwe and the destination countries? SN: The National Labour Migration Policy has several deliverables, which include enhanced social security, the conclusion of Bilateral Labour Agreements with destination countries and integration of the Diaspora population. In this regard, the policy seeks to compliment the National Diaspora Policy. Other key deliverables include the accessibility of travel documents, gender-sensitive approach to labour migration as well as tripartite migration dialogue. ST: Labour migration has seen a significant increase in remittances back home. Migrant remittances earned Zimbabwe receipts amounting to US$935 million in 2015 and US$780 million in 2016. How much did the country earn in 2017 and 2018? SN: Remittances from the Diaspora play a pivotal role in the economy of our country. The figures that the country received in 2017 and 2018 will need to come from an authoritative source such as the Reserve Bank of Zimbabwe. ST: To what extent do you think migration can play a big role in helping Zimbabwe to realise its Sustainable Development Goal target 10.7 of the UN as well as the country’s 2030 Agenda? and mobility of people, including through implementation of planned and well-managed migration policies, which in essence is what the SDG target 10.7 speaks to. With respect to the country’s 2030 Agenda, the policy will be used to foster the link between migration and development. Remittances from migrant labour have an impact on development, growth and poverty reduction. Therefore, remittances can have a double impact, both at the household and national level. Collaboration with the Diaspora networks and organisations can also contribute towards national development, for example, through short-term return programmes. ST: Brain drain, particularly in the health sector has been problematic. How can Zimbabwe strike a healthy balance between migration and maintaining a sound healthcare sector? SN: It is acknowledged that brain drain is a phenomenon that is affecting many developing countries, Zimbabwe included. It is in this respect that specific retention policies need to be put in place along with strategies to militate against the effects of brain drain. This could include implementing brain gain strategies that encourage the return of qualified nationals in the Diaspora, especially where there are shortages in Zimbabwe. ST: In 2016, about 200 Zimbabwean women migrant workers were trafficked into the Arab States and were living under tough and inhuman conditions. How many women has the Government assisted to return so far? What measures is the Government taking to prevent the illegal trafficking of women and young people? SN: Since 2016, the Government has facilitated the safe return of over 143 people who fell victim to human trafficking to the Middle East. Government has made giant strides towards the fight against human trafficking as evidenced by the ratification of the Trafficking in Persons Protocol (PALERMO Protocol). It has also developed the Trafficking in Persons Act (Chapter 9:25), which provides for the protection, prevention, prosecution, partnership and coordination (4Ps) in human trafficking. The Act also provides for the establishment of the National Plan of Action (NAPLAC) which was officially launched on 20 July 2016. Government, in partnership with IOM and the Ministry of Small and Medium Enterprises has trained the victims of human trafficking on establishing income-generating projects, with some having already been allocated funds for their projects. 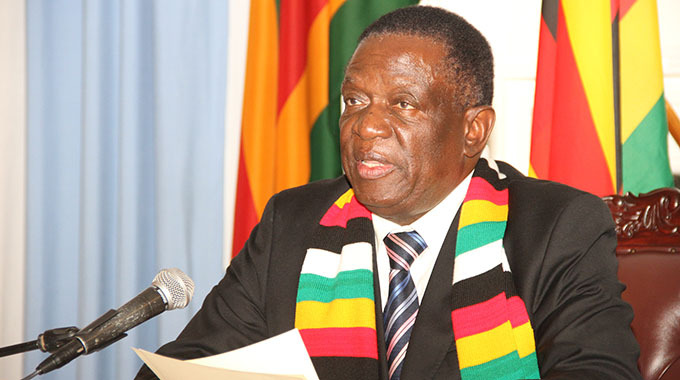 ST: Zimbabwe cannot address all the problems of migration on its own. How do you intend work with other countries and international agencies to address the migration problems as well as ensure the success of the National Labour Migration Policy? SN: It is through the conclusion of Bilateral Labour Agreements that cooperation with other countries is established and strengthened. Zimbabwe is working on modalities of entering into such strategic partnerships in order to ensure the protection of rights of Zimbabwe migrant workers.